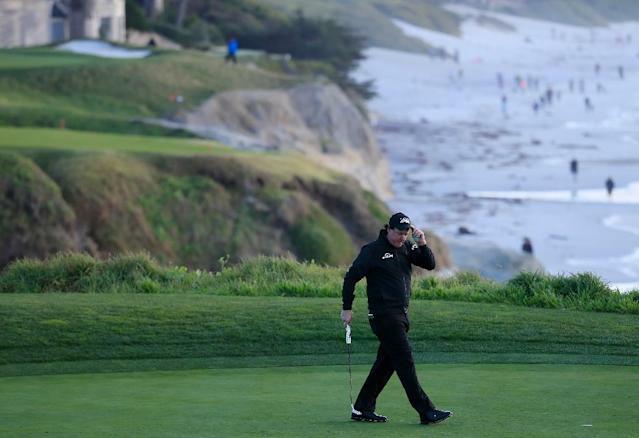 San Francisco (AFP) - Phil Mickelson was closing in on a fifth Pebble Beach Pro-Am title when darkness halted play in the final round of the weather-hit US PGA Tour tournament. "I can see fine," Mickelson told a rules official on the 16th green. But he said he understood Casey's perspective. 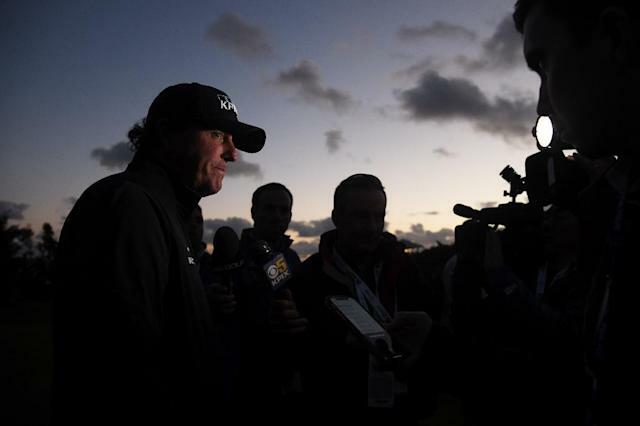 "I get exactly where Paul's coming from," Mickelson said. "It's dark and we're going to have a good chance tomorrow to come out on fresh greens. They got pretty rough this afternoon so I totally get it. "But I have pretty good vision, I can see fine and I'm playing well so I wanted to continue, that's all there is to it. Casey said he didn't see why they should continue in the gathering darkness when they wouldn't be able to complete the round. "From my angle it was are we going to get 18 done," he said. "We weren't going to get 18 done." 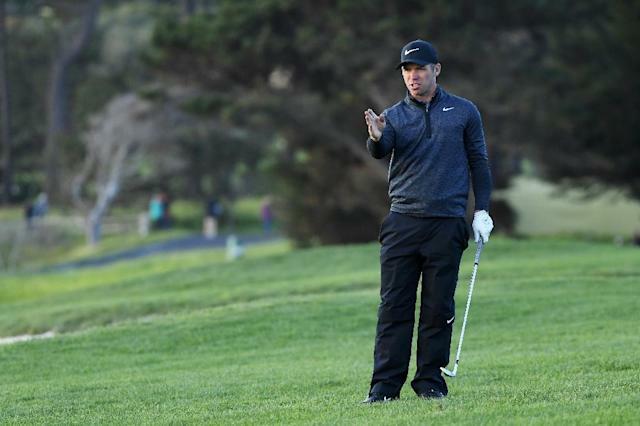 He gained ground with birdies at the par-five second and the fourth, then made back-to-back birdies at the ninth and 10th -- two of the toughest holes on the course. Mickelson's first Pebble Beach title back in 1998 came when the weather was so bad that the final round was actually played on a Monday in August -- six months after the tournament began. "That's probably a good omen," Mickelson said.